believed that the present result is the first exact solution in the theory of turbulence. 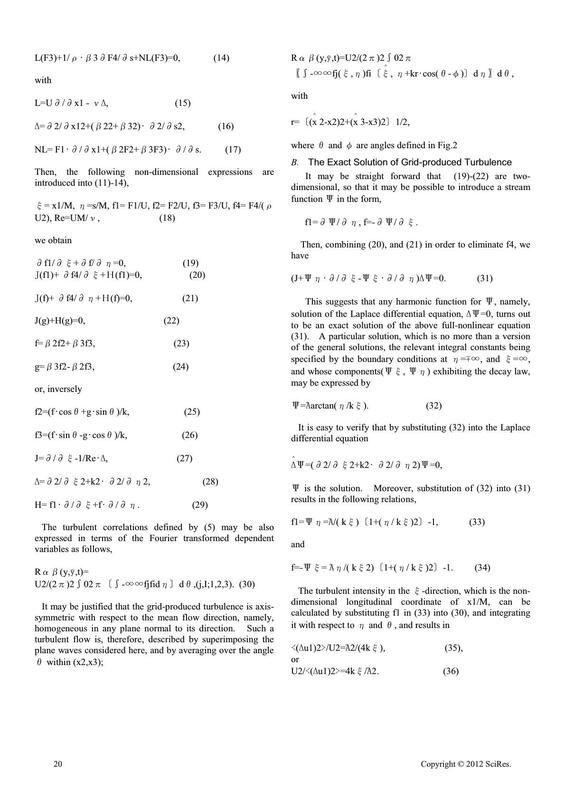 Lifshitz, together with fluctuations due to real-gas effects. detectable with any flow device used currently. reduces to the KÂrman-Howarth equation. 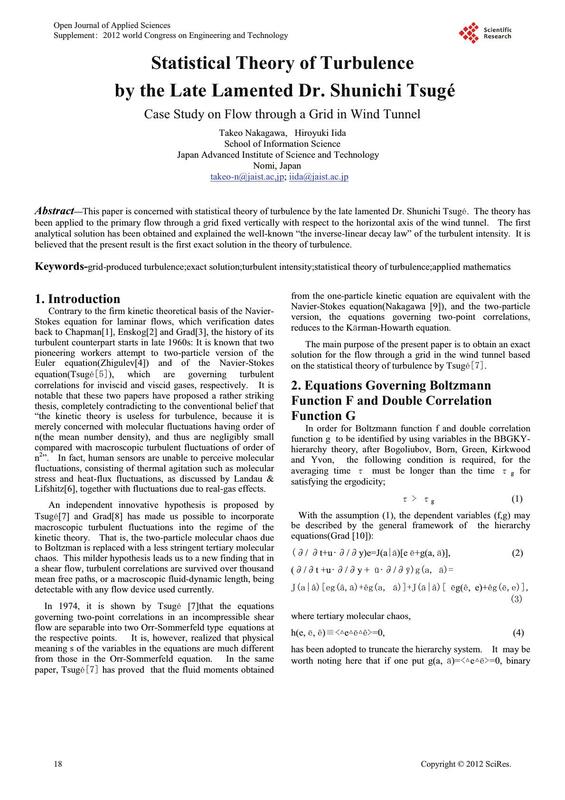 on the statistical theory of turbulence by Tsugª=?. (x2,x3)-plane. x1: primary flow direction. fluctuations given at the plane;x1=0. inverse-linear decay law̍ of the turbulent intensity. normal to the mean flow direction(Fig.2). 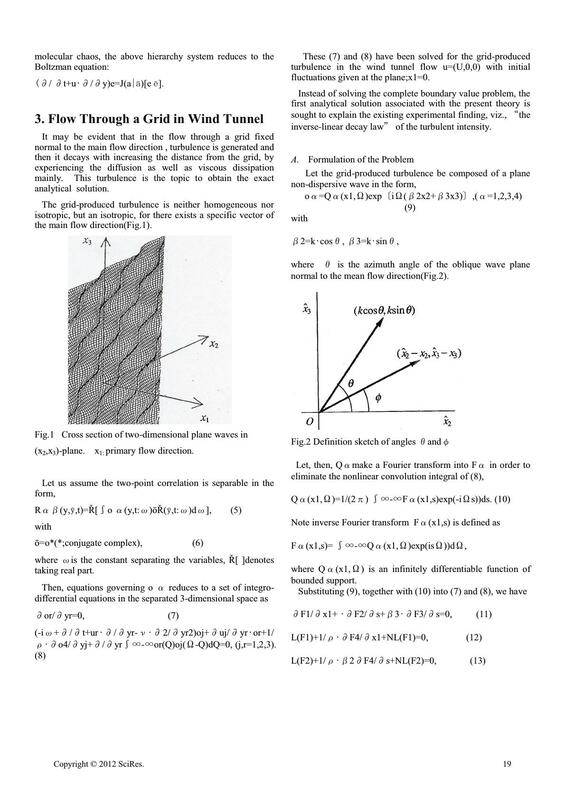 theory of turbulence, so it has a permanent value. S. Chapman, ̌On the kinetic theory of a gas Τ,̍Phil. Trans. Roy. Soc. London, vol. A217, pp.115-197, 1917.
verdünten Gasen,” Dissertation, Uppsala, Sweden 1917. Comm. Pure appl. Math. vol. 2, pp.331-407, 1949. Soviet Physics Doklady, vol. 10, pp.1003-1005, 1966. New York, Academic Press, pp.37-53, 1974.
turbulence,” ZAMM, vol.59, pp.648-651, 1979. Handbuch Der Physik, 12. 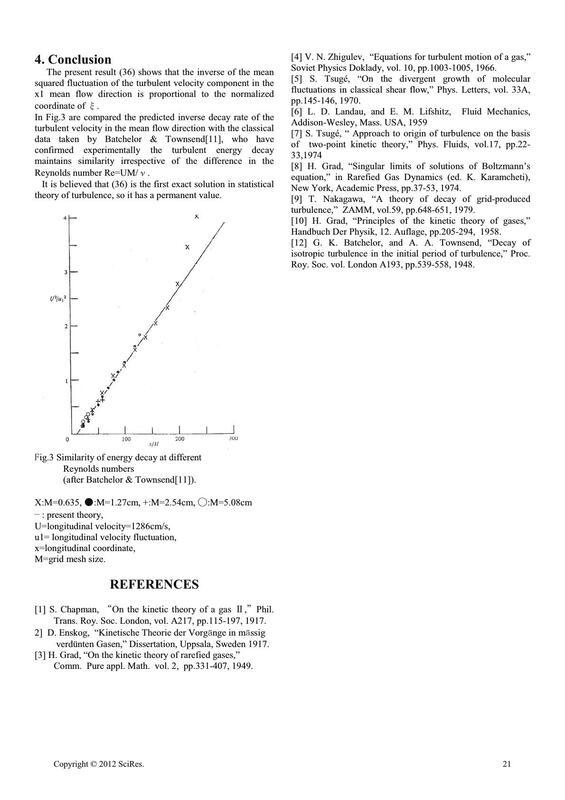 Auflage, pp.205-294, 1958.
isotropic turbulence in the initial period of turbulence,” Proc. Roy. Soc. vol. London A193, pp.539-558, 1948.